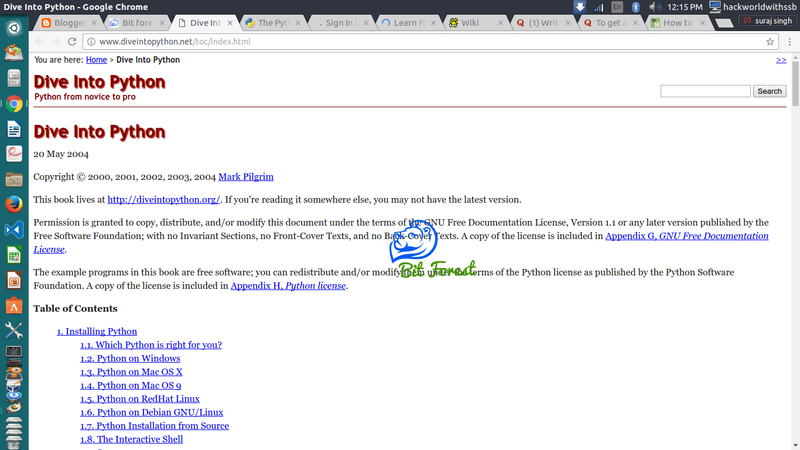 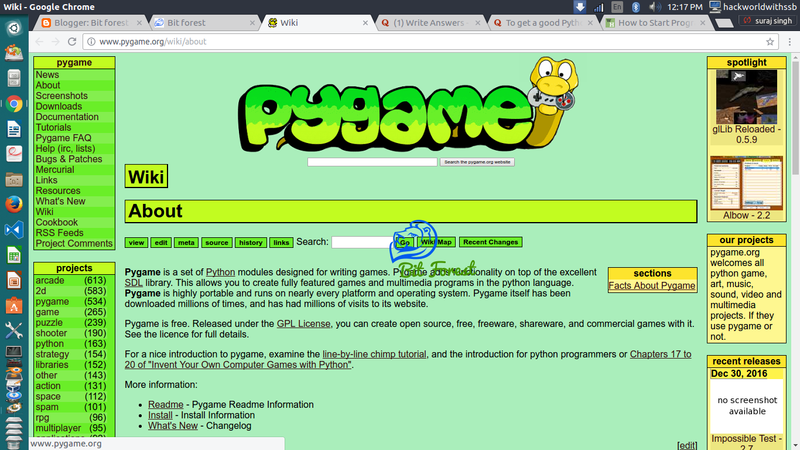 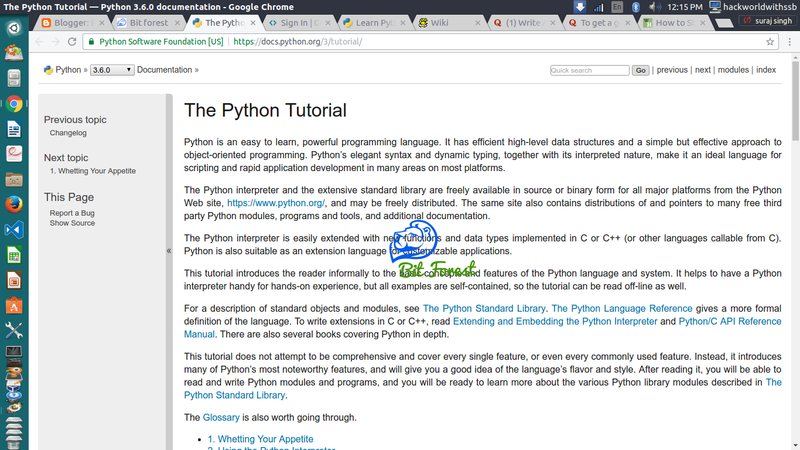 Today, i am sharing some site addresses for learning python programming online. but first, i am feeling proud to inform you that my own blog bitforestinfo.blogspot.com is also capable to teach you python programming in very reliable way. 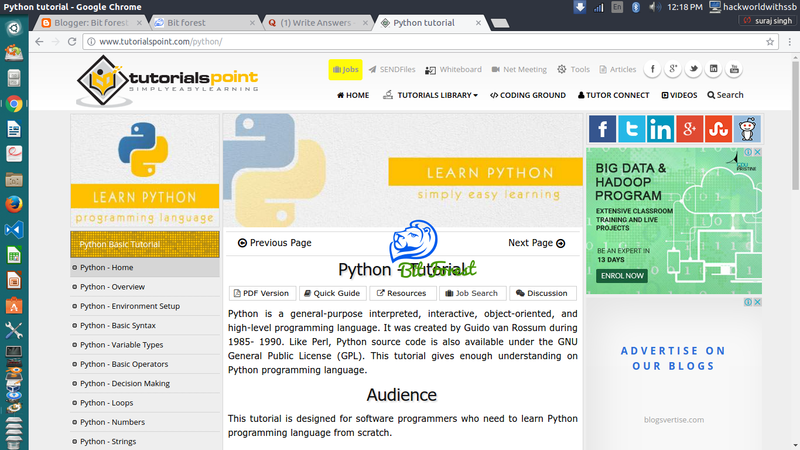 In this blog, you will find many python practical projects, tutorials and articles that are really very helpful for learning python programming. 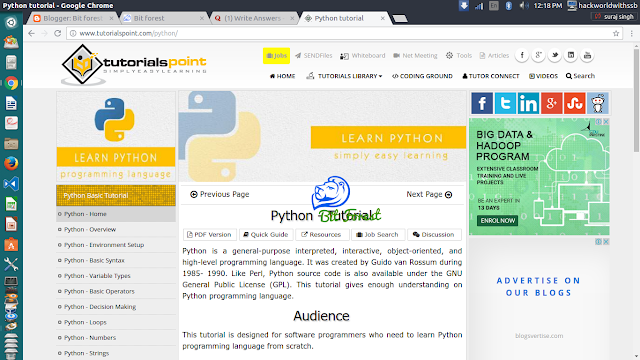 Q.1 Best Website For Python Tutorial? Q.2 How much Time we need to be an expert? 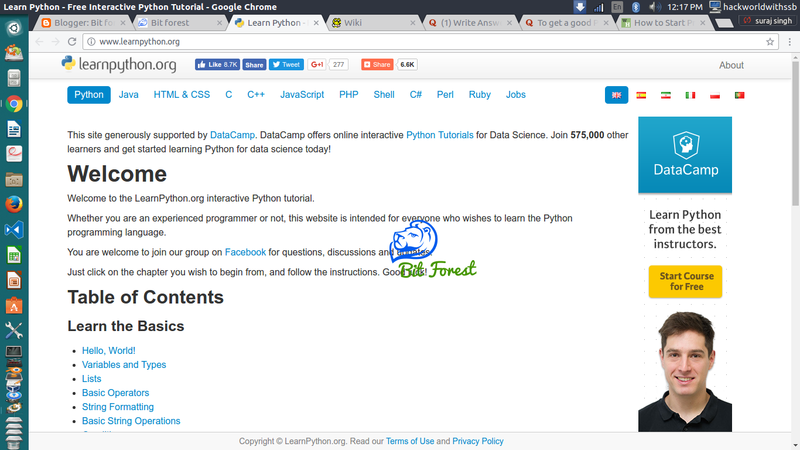 So, its can takes 5-6 years hardwork for deep knowledge and for good experience. 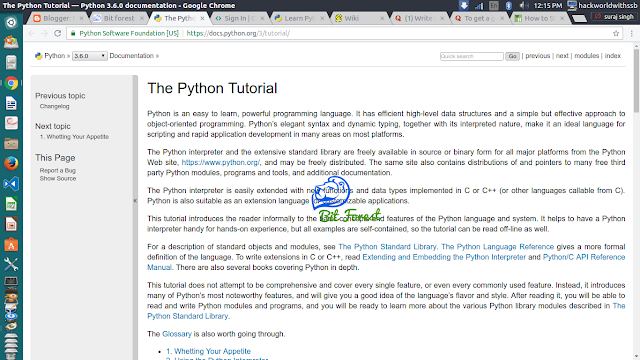 Q.3 How to Polish Our Python Programming Skill?